This very large 3D printed sculpture was created by Portuguese artist Leonel Moura. Moura, an artist with a history of combining art, robotics, AI, and 3D printing, shows work around the world from Brazil to China. In the U.S. he has a piece in the permanent collection of the American Museum of Natural History. The 5-meter tall woman figure stands arms stretched wide like most 3D models, with a firm gaze fixed on the horizon in front of her. Made up of 300 multi-colored 3D printed blocks and fittings, she resembles a high-tech harlequin. Moura created the pieces out of PLA plastic using eight permanent 3D printers in his studio. The creation of the piece, titled “3D Europa”, took six months to develop. It included collaborations of many people, plus a few companies like Beeverycreative, 3DFactory, and Wurth that sponsored and provided for several fixing materials. The model was done in Rhinoceros. 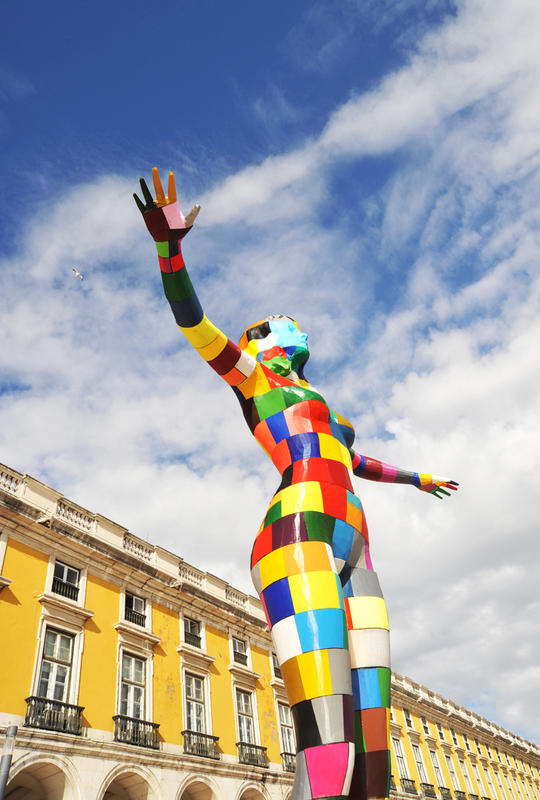 The sculpture was presented at the ICT 2015 conference organized by the European Commission in cooperation with the Town hall of Lisbon.